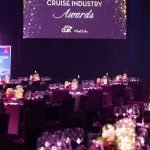 After 17 years recognising the cruise industry’s “best of the best”, Cruise Lines International Association (CLIA) Australasia has announced the launch of its 2018 Cruise Industry Awards with a refreshed award slate and an updated nominations and judging process. From 2019, ‘the CLIAs’, the official cruise industry’s annual ‘night of nights’ will take on a new look and feel, with the addition of new and updated awards, a new and more open online nomination and submission process, and a revamped judging panel including, for the first time, a separate local judging panel for New Zealand awards. In announcing the launch of the 2018 Awards, CLIA Australasia Managing Director Joel Katz said the ‘CLIAs’ were evolving in line with our ever-changing industry. 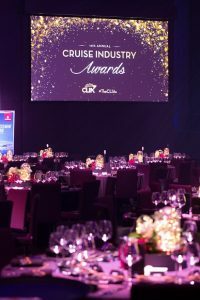 “The Cruise Industry Awards has always been about recognising excellence in our industry and just as we have been doing for the past 17 years, the event will continue to be a celebration of CLIA travel agent members and cruise media. But things change over time and it’s important that we continue to recognise the great achievements of our partners. These changes reflect how our industry has grown and evolved since our first awards night back in 2002,” Mr Katz said. Updated nomination criteria that recognise marketing activity, investment in product training and innovation, and engagement with CLIA, as well as cruise sales. The Cruise Agency of the Year award will separately recognise small agencies with one branch and larger agencies with several locations or brands. The Rising Star Award will be broadened to consider achievement, skill development, drive for excellence and future potential. 11 awards will now be open for self-nomination or peer nomination. There will be separate NZ and Australia judging panels. The 18th annual Cruise Industry Awards will be held at The Star, Sydney on Saturday 23 February 2019. Nominations for the 2018 Awards close on Friday 14 December.